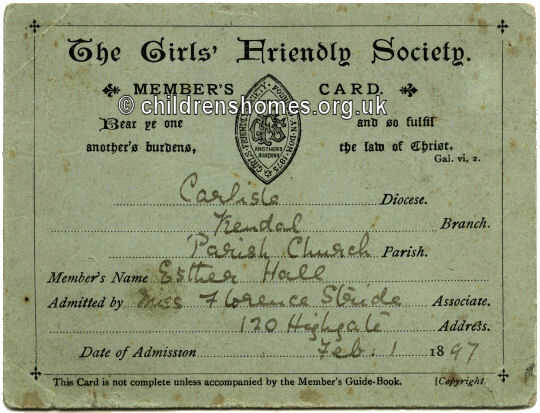 The Girls' Friendly Society (GFS) came into being on January 1st, 1875, aiming to provide friendship and support for the growing numbers of working-class country girls who were leaving home to take up employment in towns and cities. 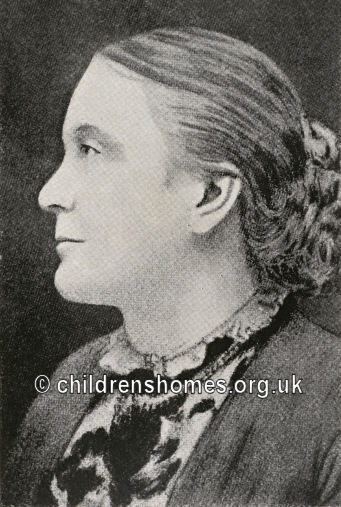 The initiative for founding the GFS came from Mary Elizabeth Townsend, an Irish clergyman's daughter and wife of artist Frederick Townsend. After Frederick inherited Honington Hall, his uncle's estate in Warwickshire, the couple became involved in local philanthropic activities. Mary helped in the work of the local girls' orphanage and became aware of the problems faced by girls going into domestic service, including loss of contact with their families and unwanted pregnancies resulting in dismissal. After assisting in some diocesan 'rescue work' among 'fallen women', she came to the conclusion that prevention would be much better than cure. 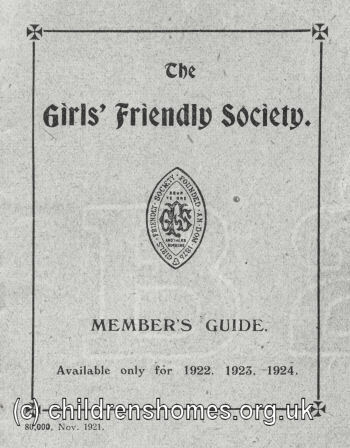 The idea at the heart of the GFS was that the working-class girls who would form the Society's Members would be befriended and guided by higher-class 'Lady' Associates. 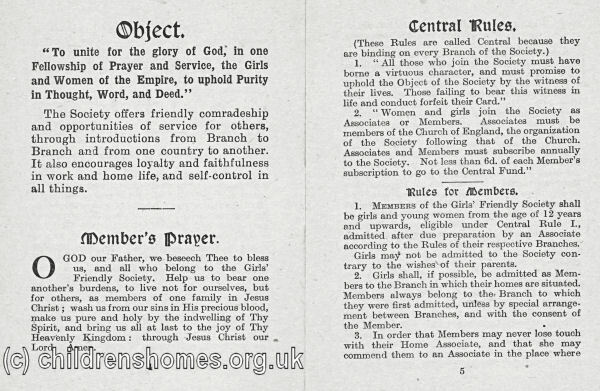 Girls could join the GFS from the age of 12, but from 1882 those from the age of 8 could become Candidates, in preparation for membership. The Society operated within the parish and diocesan framework of the Church of England, with no branch being started without the consent of the local parish priest. All members were required to be members of the Church and of unblemished character. Both Members and Associates paid an annual subscription. The Society's branches organised a variety of facilities for its Members. Girls seeking new employment could give their details to a GFS Registry. Social activities were provided in comfortably furnished recreation rooms, supplied with newspapers, magazines, books and games. Hostels, known as Lodges, were set up in some of the larger towns to provide cheaply priced food and lodgings. Accommodation was also set up for Members who were domestic servants out of service and between their places. For girls 'toiling in close workrooms, and sometimes breaking down under the heavy strain of their task', Homes of Rest were established to provide rest, a change of air and scene, and a little motherly care, before resuming their employment. By 1880, the GFS had almost 40,000 Members and over 13,500 Associates. In the same year, Queen Victoria became the Society's Patron. 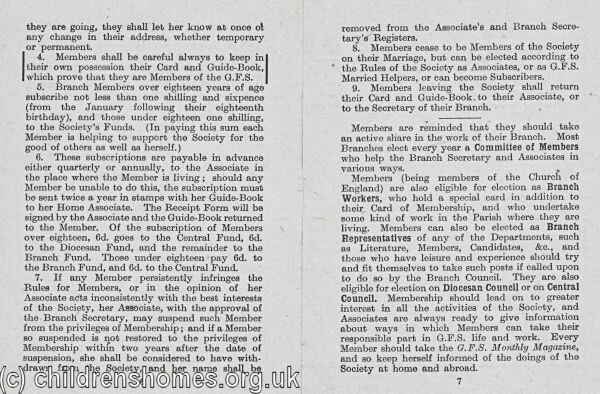 In 1900, the Society had 1,361 branches with the Members now numbering more than 150,000 Members, and the Associates almost 33,000. Branches also sprang up in many other countries. 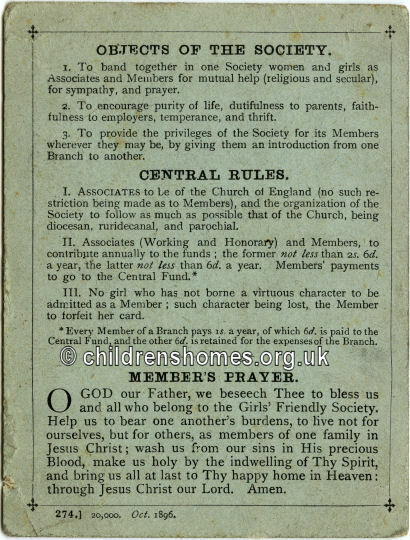 The Society communicated produced a wide variety of publications for its membership, beginning with The Girls' Friendly Society Reporter in 1875, soon followed by the monthly magazine Friendly Leaves which by 1883 had a circulation of 46,000. Another popular work was Every Day: Thoughts on the GFS Rules of Life, first published in 1895. 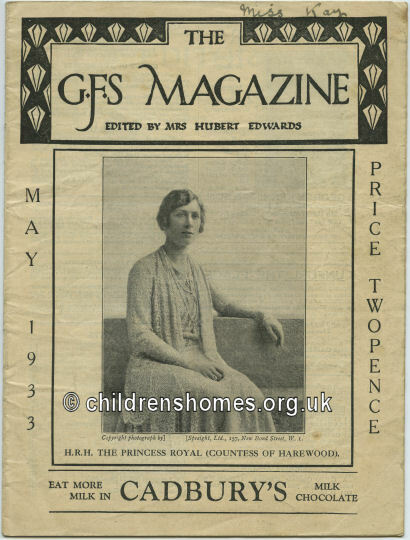 Later publications, issued monthly, included Our Letter, for GFS Candidates; The Workers' Journal, containing news of the work of the Society at home and abroad, articles on religious and social subjects, and book reviews; and The G.F.S. Magazine with serial and short stories, dressmaking articles, competitions, and news from branches and GFS Girl Guide Companies. The advent of the First World War led to a drop in membership of the Society which then expanded its activities in many other directions. 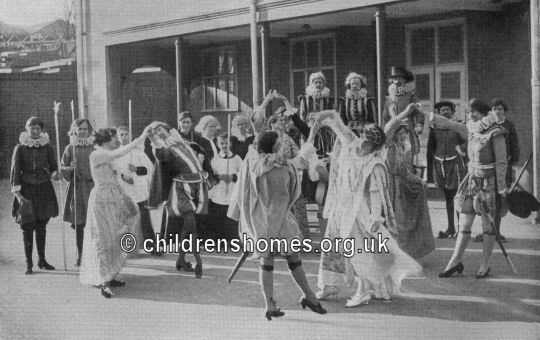 In 1921, the GFS acquired Argyll House, which became a hostel for homeless girls and women and those escaping domestic violence. There was an increased focus on educational and training activities, cultural and sporting pursuits, and support for foreign travel. In 1922, a caravan was purchased for use as a mobile publicity unit, the cost being met by Princess Mary, a strong supporter of the Society. 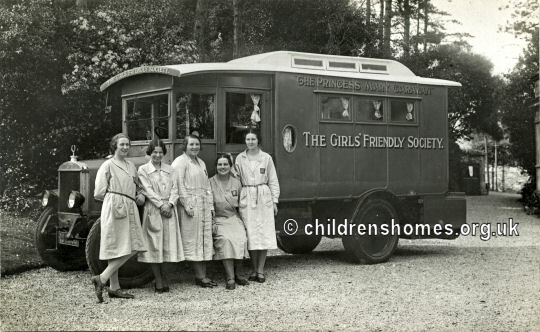 During the Second World War, the GFS raised money for clubs and hostels for women working on the Home Front, while branches undertook various tasks from helping with evacuees to 'adopting' a mine sweeper. In 1942, the Society launched a War Training Scheme for girls aged 14 to 18 which covered subjects ranging from Air Raid Precautions techniques to poultry keeping. 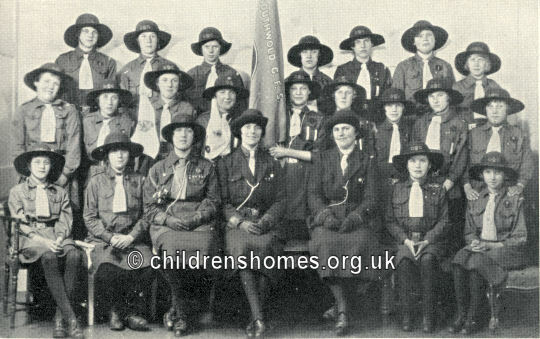 A Youth Wartime Section provided housecraft training for girls aged 16 to 18. 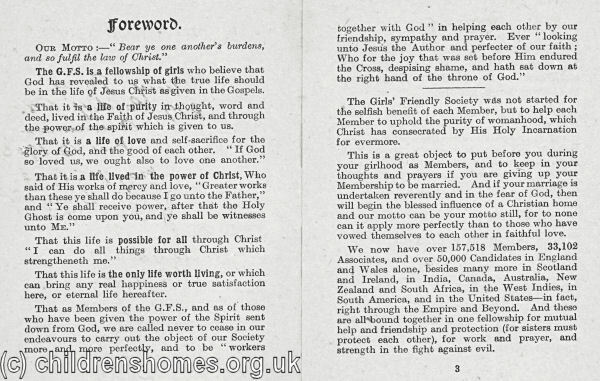 After the war, the GFS increased its missionary work overseas with, in 1951, 25 missionaries in Africa, Japan, India, Pakistan and Iran. The GFS World Council was formed in 1955 to promote fellowship between the members of the Society throughout the world. In 1964, the Society began a development scheme to extend its work at home and abroad. New residential hostels for girls were opened in the large cities, most of which provided self-catering accommodation. The Society launched 'Girls at Work' courses in subjects such as fashion, make-up and etiquette, budgeting and interview techniques. There was also a scheme to operate lunch clubs for young working women. The Society still operates today, though no longer runs residential accommodation. It continues to support girls and young women, adapting to the new challenges presented by a changing world.